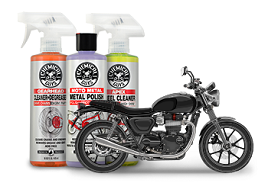 Maxi-Suds II is the perfect maintenance shampoo that cleans and enhances any color paintwork with extreme foaming bubbles for the perfect scratch-free shine without stripping wax or sealant. Lift and separate dirt and debris with the constant release of foaming bubbles and slick wash lubricants of Maxi Suds II! Specialty wash polymers of rise up in thousands of bubbles, lifting and lubricating dirt and debris from paintwork, helping prevent swirling and scratching. 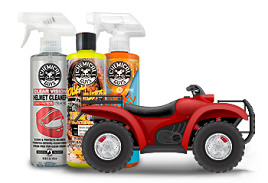 The advanced hyper-foaming formula is tough on dirt, gentle on paintwork, and safe for wax, glaze, and sealant coatings. Maxi Suds II washes cars with mountains of slick suds and rinses clean with no residue or spots. 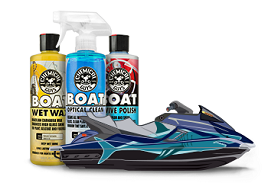 Low grade cleaners and degreasers use caustic chemicals that etch paint, poison wildlife, and strip protective wax and leave vehicles unprotected from the elements. Maxi Suds II cleans and shines any color paintwork with unending foam, rinses clean, and will not etch or spot even in direct sunlight.